View More In Window Openers - Page 4. 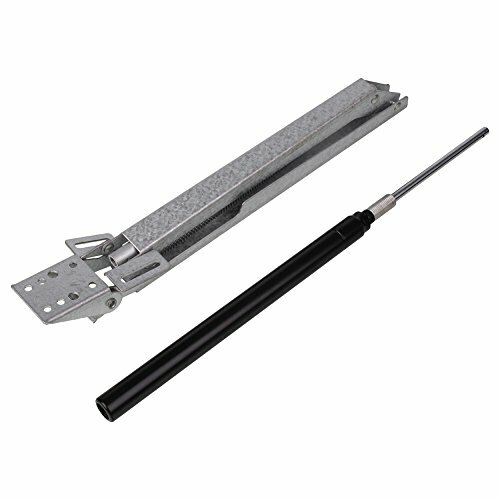 Maximum height of the window opening about 45cm/ 18"
1.Do not use this opener anywhere the temperature will exceed 50Deg.C (122F),Please ensure your greenhouse window can be opened freely by at least 45cm (18"). 2.Do not apply excessive loads by locking or covering window. Made of high quality materials,durable and solid,never rust,easy to install. As the temperature changes automatically, maintains the best growing temperature and prevents your greenhouse from overheating. Non Electric, uses solar energy, open or close the greenhouse vents as temperature rises or drops. Can be clamped onto or screwed onto your greenhouse frame. Maximum height of the window opening about 45cm/ 18",Maximum weight vent 7Kg/15lb. If you have any questions about this product by Floratek, contact us by completing and submitting the form below. If you are looking for a specif part number, please include it with your message.